The following information provides a background of the development of the FTCE tests. Understanding the background and objectives of your Florida teacher certification test will support you in getting correct answers on the real exam. take the same paradigm as the developers of this exam. The Florida Teacher Certification Examinations (FTCE test) is designed to determine if those wishing to teach in the state of Florida have the necessary basic skills, professional knowledge, and area of specialization needed to fulfill the task. Teacher certification requirements and regulations are overseen by the Florida Department of Education. Florida Statutes (F.S.) and Florida Administrative Code (FAC) provide the testing requirements for teacher candidates and can be found in Section 1012.56, F.S. and in 6A-4.00821, FAC. Please make special note of the (critically important) information about registering, test instructions/rules and exam format below. The most up-to-date information you need will not be in your FTCE study guide. The Florida Department of Education recognizes children as our most important resource. Ensuring that those children’s teachers and school leaders “meet rigorous professional standards at an appropriate level” is a focus for the Florida Department of Education. The Department of Education oversees the FTCE, or Florida Teacher Certification examination, through the Bureau of Postsecondary Assessment. Their role is based upon guidelines set by the Florida State Board of education in Rule 6A-4.0021, F.A.C. (see https://www.flrules.org/gateway/ruleNo.asp?ID=6A-4.0021). The state has revisited and revised portions of these guidelines each year. The exams are required by Florida Law’s K-20 Education Code, Sections 1012.55 and 1012.56. The test is administered by Evaluation Systems group of Pearson, contracted by the State Department. Florida offers two types of certificates for educators: professional and temporary. The temporary certificate is valid for three years and is nonrenewable. Its purpose is to allow a person to teach while completing all the requirements for a professional certificate. To earn a temporary certificate, candidates must hold a bachelor’s certificate (or above) with a 2.5 or above GPA and earn a passing score on the subject area exam. The professional certificate is valid for five years and is renewable. All teachers who hold a temporary certificate can use the three years to earn their professional certificate. Below are descriptions of each exam for licensure candidates. Passing or failing the test may depend upon preparation. To study for the rigorous content, use preparation materials available. A candidate’s score will be available by logging into the FTCE test website on the score report release date. Scores will not be released by telephone or fax nor will unofficial results be available at the test site. Preparing for licensing exams is like running a marathon, the fitter the FTCE test-takers knowledge and skills the more likely they are to pass. 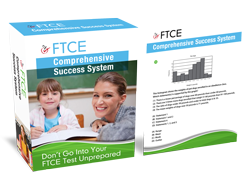 Click Here: FREE FTCE Test Prep Tips for a free FTCE study guide report now. Candidates can register for the FTCE exam on line 24 hours a day, 7 days a week. It is important however to register as early as possible as seats are limited and assigned on a first-come, first-serve basis. Exams are only offered in a computer based format, unless the applicant has a physical or mental impairment that requires alternate arrangements. Registration is available 24/7 at http://www.fl.nesinc.com/FL_Register.asp. Be prepared for the cost of the exam: each exam will cost $200 the first time. Make that $200 count by preparing for your FTCE using the preparation materials available! pay your fee with a credit, debit or check card. You have one year from the time you register to schedule a test time. How Much Are FTCE Exam Fees? The cost of FTCE subject area examinations are $200, while the cost of the Professional Education Tests are $150 and General Knowledge Tests are $130. If the candidate needs to retake a test the cost increases by $20. Payment can be made using VISA, MasterCard, debit, or a check card with a VISA or MasterCard logo at the time of registration. Once you have completed the registration you will receive an admission ticket by e-mail that lists your test selections, test site, and scheduled start time. On the day of your Florida teacher certification examination you will need the admission ticket provided at the time of registration, and two valid pieces of identification. One must be government issued; the other should have a photo or signature. You may not take a cell phone or other electronic aids into the test area. There is considerable variation among the FTCE examinations and so the scores needed to pass vary also. Scoring is based on the percentage of correct answers, and in order to pass, require a success rate that ranges from 60 to 75 percent depending on the subject being covered. All tests are reported as Pass/Fail. Pass is 200 on a scaled score. Test scores are available within 4 weeks of taking the test. Delays of score reporting for current revisions of tests are listed on the home page for certification: http://www.fl.nesinc.com/index.asp. Unlike a passing test, a failed test will have a numerical score placed on it. Candidates may retest after 31 days. See “Retaking the Exam” below. Most tests require candidates to answer 64-75% of the questions correctly. Though this may seem easy to attain, candidates do fail the tests. It is important that you take the time to thoroughly prepare by using the materials available for your FTCE. Language exams that have two or three components are scored by each component. The options for retaking failed exams vary for languages, including English. Check here for your test’s specific passing score requirements: http://www.fldoe.org/core/fileparse.php/7664/urlt/FTCEFELEMaxPercentTable.pdf . If you receive a Failing score, you must wait 31 days to retake the exam or—for some tests—the section of the exam you failed. Languages other than English follow the $220 retake fee total, whether you retake one or two sections. Retaking an exam is frustrating. It wastes time and energy. Avoid this by choosing preparation materials designed for your FTCE. The FTCE tests assess knowledge, skills and abilities in three areas: General Knowledge, Professional Education, and Subject Area. General Knowledge: assesses knowledge using four subtests. You won’t be able to “wing” the essay subtest unless you have expert-level content knowledge and know how to correctly format an essay response. Utilize a realistic FTCE practice exam to develop and refine your essay writing skills. Go to: FREE FTCE Test Prep Guide To A Passing Score — by Florida teachers who passed now. Languages (English, French, German and Spanish): 80-95 multiple-choice items to be answered in 90-150 minutes. All have an oral and written portion. English has a totally separate written section for both grades 5-9 and 6-12, and German has a separate 45-minute oral interview section. Latin K-12: 100 multiple-choice items to be answered in 150 minutes. Agriculture 6-12 (054) 120 multiple choice questions/150 minutes. food science and systems (5%). A time limit of one hour is given to the examinee to finish answering three essay questions with one each coming from these subjects: global traditions in art, architecture, and design; criticism and aesthetics; and the content of works of art. Remember that using test-prep materials can help your confidence as well as your score! Remember to prepare for the rigor of these tests. Prep materials are available! Though the FTCEs that follow are for middle grades, do not think they are not rigorous. Prepare the first time by using test-prep materials available. Prekindergarten/Primary PK-3 (053): 4 sub-tests of 50-60 multiple-choice items/60-70 minutes to complete each; subtests may be taken separately or all together. Test preparation is key to passing. Remember to use preparation materials available to ensure a passing score on these tests. The FTCE for Spanish K-12 will include both a speaking and writing portion. Be Proactive: Pass the FTCE the First Time! If candidates are armed with a bachelor’s degree, the FTCE should be easy, right? Only 65% of candidates passed the test out of 114,769 FTCE test-takers in 2017, according to the PDF document http://fldoe.org/core/fileparse.php/5627/urlt/firsttime-ftce-examinees.pdf. This document also tells the number of candidates tested and gives the percentage of passing scores for each separate exam. Look at the numbers yourself: of the nearly 60 areas possible for the FTCE, 28 FTCEs showed passing rates of 65% or less. And very few other FTCEs showed passing rates of 80% or more. Read through all of the information found at your test’s test page on www.fl.nesinc.com. Pay particular attention to the Test Information Guide and the Test Blueprint. Identify areas of weakness and admit that these areas need work! Read the research on study methods: a meta-analysis done in 1984 showed that taking practice forms of tests can raise scores on aptitude and achievement tests. Believe that practice can make perfect—or at least passing. Research the best practice/study materials for your test. Choose the best materials and use them! The test material must be current. Compare editions. Remember that the FTCEs are meant to be revised. Has the practice material changed as the actual test changed? The practice test must contain information that may be on the actual exam (see the blueprint!). That way you can find your strengths so you can focus on your weak areas when you do use your time to study. The practice test must have the same format as the actual test. If the questions are not worded like the ones on the real test or are too simple, it is not the best practice test for you. What is the best use of your study time? So block out some study time for two weeks before the test—or two months, depending on your own confidence level. Get rid of all distractions for 20-30 minute sessions. No cell phones or music or streaming. Make the session like a real test. Then reward yourself after each session with a break. But make certain you know that the real reward will come when you receive a passing score on your FTCE! You’ve invested a lot of years into your education. You’re college tuition is heavily invested in your future and this career as an educator. Now is not the time to relax and gamble your last stretch down the finish line. Percentages expressed within this article represent how much a particular competency makes up the exam. For example, if a breakdown indicates that a competency is 33 percent of the test, this means that 1/3rd of your test score will be made up by this particular teaching competency. Go to: My Florida Teacher Certification Study Story right now. When it comes to preparing to pass your Florida teacher certification exam (otherwise known as the Florida Teacher Certification Examinations), you might think that it’s the bigger efforts that count. Between taking expensive standardized testing classes and buying 400-page study guides from your local bookstore, you’ve aimed to maximize your score…right? Actually, many FTCE test takers make the mistake of overlooking the smaller preparation tips that can make all of the difference between a failing and passing score. Future Florida teachers who miss a pass mark by five, four or even two points aren’t repeatedly failing because they don’t know their facts. They’re failing because they’re ignoring these simple practice tips that add up to big success! Don’t underestimate the power of scrap paper! When taking the math portion of the FTCE test, you’ll definitely want plenty of scrap paper by your side to visual the more difficult problems. Between probability and ratio questions to “solve for x” problems, that scrap paper will certainly come in handy. Grab plenty before the exam starts, and draw out any math problems that you need to visualize in order to get the answer. Don’t wait to look at the multiple choice answers before you decide your own. test makers love tripping up test takers with trick answers – and they’ll certainly sway you if you don’t have a set answer in mind. If an answer for the FTCE exam question matches the own answer in your head, then chances are that it’s right. Bring the calculator that you’ve used for your FTCE practice. Believe it or not, many test takers use shiny new calculators on exam day – and they lose valuable time because they’re unfamiliar with how to use the calculator. As a general rule of thumb, don’t wait until exam day to introduce new test-taking materials. Use the same calculator that you’ve used during your Florida teacher certification study for maximum results. Use the cheat sheets that are provided to you on the actual exam. You’ll already be familiar with the formulas, terms and hints that the FTCE test makers have provided; however, when your mind starts to draw a blank due to anxiety, those cheat sheets will certainly come in handy! Many Florida educator certification test takers make the mistake of rushing through the exam without reading the directions. While many of the directions will be self-explanatory, it’s important to understand what the test makers are asking of you during each section. By doing this, you won’t lose any valuable points due to a careless mistake.